Please do try and place your order 2 weeks in advance (and at least 2months in advance for wedding cakes), but if it's really urgent, do give us a call and we will try and fit your order in. All orders are custom made, fill in your requirements below, remember to include your cake theme or colour scheme if you have any and how many people you want the cake to feed and we will call you back shortly to discuss your order. 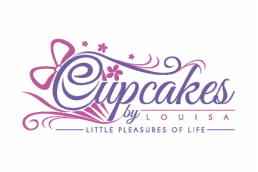 All our cupcakes come in boxes of 4, 6 or 12 and prices are given when an order is made. We’re currently unable to accept credit card payments (we’ll keep you posted on this! ), and would usually expect to collect cash or take a card payment on collection/delivery. If you’re ordering cupcakes as a gift and would like them delivered direct to the recipient we can take payment via bank transfer and the cupcakes will be delivered once the payment has been made. How do you get your Cupcakes? Our cupcakes are very, very fragile and need to be hand delivered or collected. We deliver within the Borehamwood area for free and to other areas within the M25 for a mileage related delivery cost.